You might not have heard but Lubuntu’s gone Qt. I mean, we were quite cute before, but for Cosmic Cuttlefish (that’s a lot of alliteration) we’ve announced something we’ve worked on for years: officially switching to LXQt. We started discussing this four years ago so it’s really awesome to see it happen. @tsimonq2 and I finally got together at Linuxfest Northwest to discuss how we would do this (see here for the official announcement as well as pics of flavors working together with both @bashfulrobot and @valorie-zimmerman). This week, we’ve been really active working out some bugs out of the system (you might want to check out our Phabricator instance to see just how busy) but should have installable images now, using the wonderful Calamares installer (you flavors want to use this because Mark’s Electron thingy doesn’t sound fun and Ubiquity is a pain to debug). You still have to load Calamares to get the installation going, but that will be resolved shortly. What’s even more exciting is seeing Marius at Softpedia gushing over it. That said, there’s plenty more stuff for us to do and, as always, we welcome your contributions! I’m going to try out the LXQT Lubuntu. Atm as live. Would try to install it in the evening to see how it works on bare metal. Here are few things I noticed. The panel on the left (or right). If I use only the icon, it looks all right. The tooltip appears with a time lag, which I like. Anyway, this can be configured, except for only text. No idea, why the sound icon is dark. The clock turns only, when autorotating is unticked, not the other way. There are no names on the PcManFm left panel. I’m sure these will be corrected. Maybe, I’d wait few days to install it, until the PcManFm matter is corrected. Downloaded today’s daily iso, and that too has the same problem with PcManFm, so won’t install, until that problem is taken care of. Too many apps for a lean distro. I don’t think Calibre, Ebook Editor are needed. If anyone wants they can download them. Too many media players. 358MB memory usage at idling is more than what Kubuntu (337MB) takes. 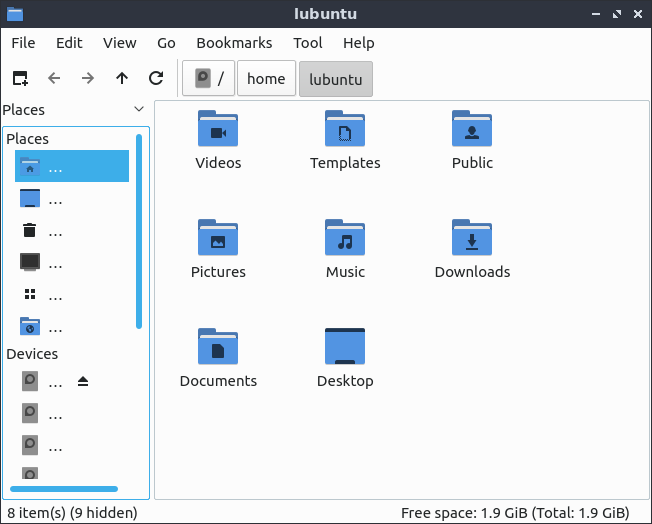 Why compare with Kubuntu? 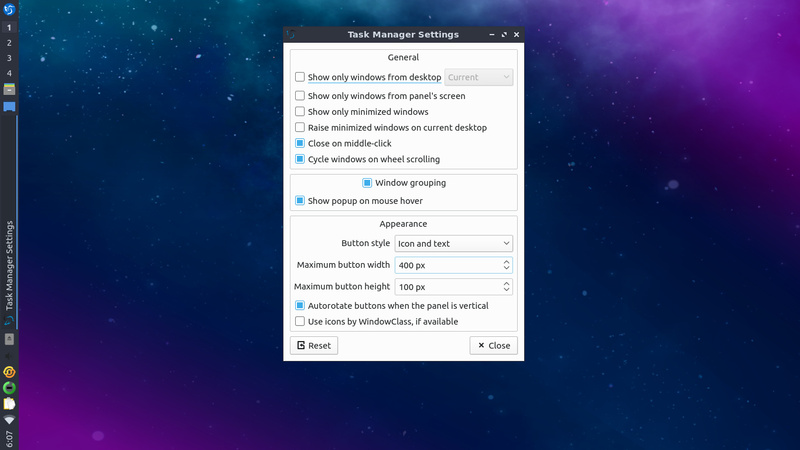 I see lot of KDE apps in Lubuntu - Discover, Muon, Partition manager, K3b etc. Apps open quickly, which I like. But not as snappy as in pure Openbox. I’ll download Lubuntu in 3-4 days to see if the PCManFM problem has gone away. Installed Dolphin. Have a look. It only 40.8MB extra on disk. 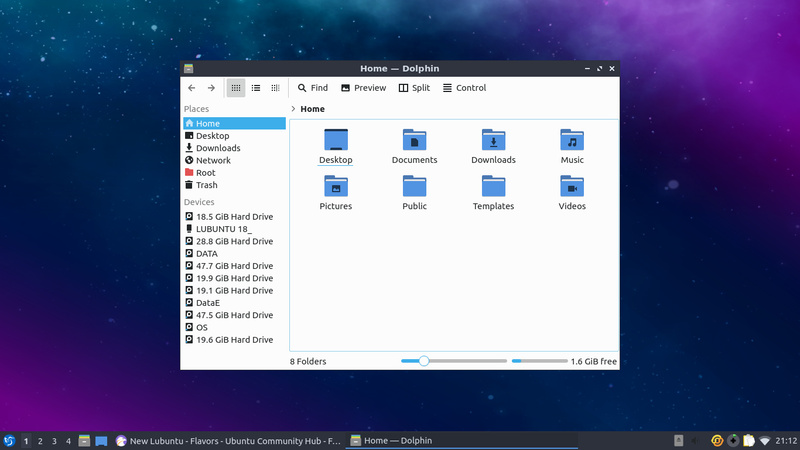 No problems with folders, partitions etc. Please try to stay on-topic.